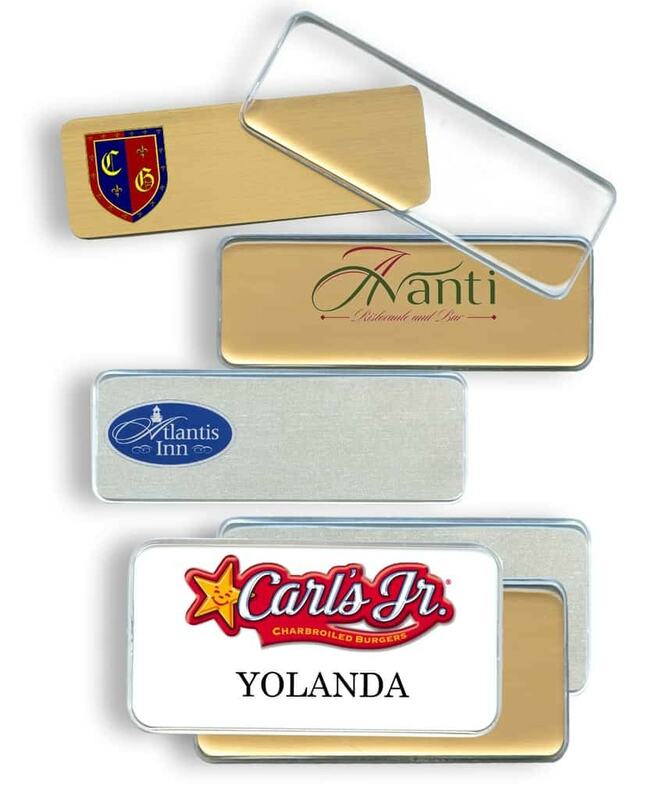 Dome Name Tags and Badges made of Aluminum, Clear dome cover badges are available in Gold, Silver and White. Have you noticed our new Clear Cover Badges while out and about? You get a marvelous look with added scratch resistance. These offer a newer more modern look. Not only does the clear dome cover protect your badge it gives it a bit of a 3 dimensional depth. This name badge style is among our fastest growing product. With or without your custom logo we can manufacture and ship this style with any of our special badge holders. These are samples of Dome Name Tags we’ve done.